We connect families in need with Church outreach volunteers. No one in need is turned away! We provide free of charge many resources including food, clothing, diapers, and children’s bibles/books so that volunteers can help meet physical and spiritual needs. We provide an effective way for congregations to do “hands on” ministry. We work to equip and unite the Body of Christ. All Family Mentor volunteers must belong to an approved HCDBM church partner. 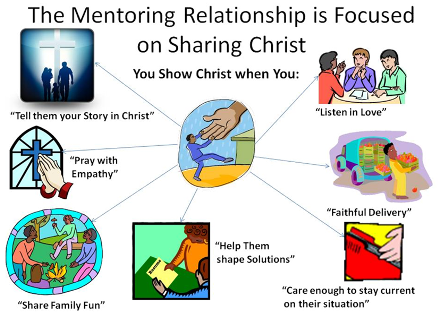 If you are unsure if your church has a Family Mentor program please refer to our ministries list or call the office. Mentors serve a vital function in the mission. They help unite and equip the Body of Christ with food, resources, and training to impact our communities and the lives of those in need through the love and saving grace of Jesus Christ. Mentors will go “beyond the food box” as they build a relationship of mutual trust with the mentee. 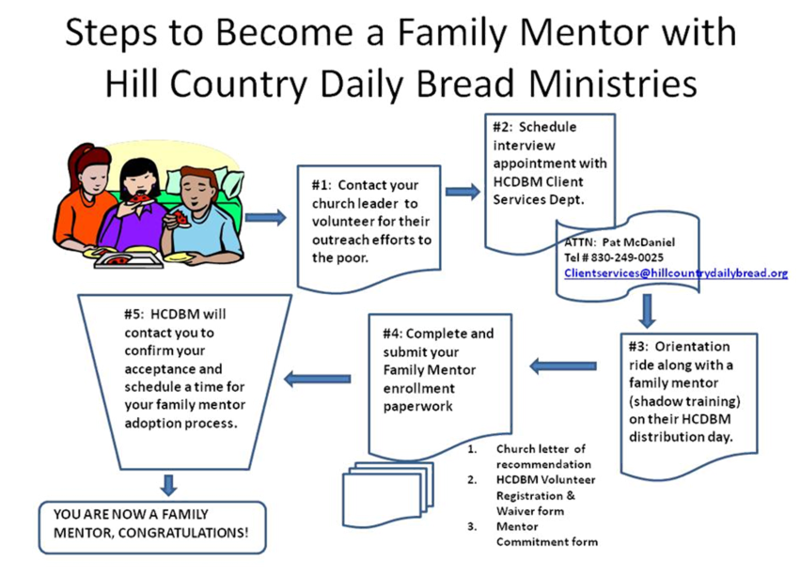 How do I become a Family Mentor with Hill Country Daily Bread Ministries?